Posted on July 12, 2011, in Running and tagged Apparel, Running, Running Accessories. Bookmark the permalink. 4 Comments. I JUST heard about this thing called the GelBot and I think I want one if it would fit in a belt holster. Gel and water in one bottle. I currently use an Amphipod belt, which I like better than FuelBelt, but they are all super annoying. Wow, the Gel-Bot looks like a pretty cool contraption. Although I’m afraid I’d squeeze gel all over myself while running (and I already look silly enough). And I agree about belts. Don’t know if there is one out there that would be right for my body shape. I think I have more hydration bottles and gadgets than shoes. I have a couple of fuel belts, both of which I love for anything over 6-8 miles. I’m not crazy about how they look or anything, but I like being hands free that far into it. 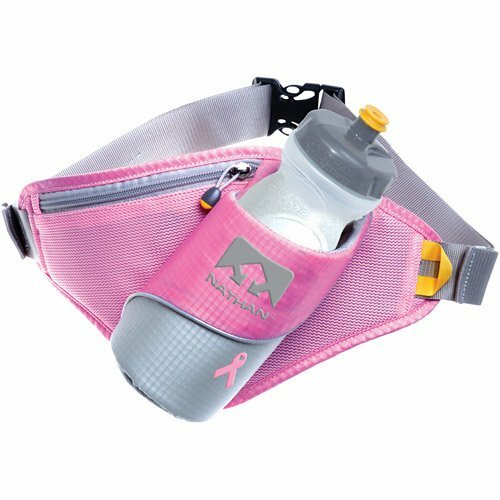 Anything shorter and I use one of my Amphipod hand held bottles–I have a 12 and 20 oz and love them both. I thought using a hand held would drive me crazy, but that brand seems to just fit well in my hand and I really don’t notice it….nor do I miss finagling a bottle out of a belt and tripping. And, the amphipods have a nice zipper pouch that easily holds my car key and a GU or two.